I actually read this book in one day - December first to be exact. After finishing the wonderful book The Strange and Wonderful Sorrows of Ava Lavender, I initially wanted to read the new Gregory Maguire book, After Alice, but my nook is becoming increasingly annoying and required me to "unlock" my book by providing my name and credit card number. As if I'm going to have that information readily available when I'm sitting on the bus, and even if I did, I wouldn't be pulling out my credit card when there's people around to see it. Sheesh! 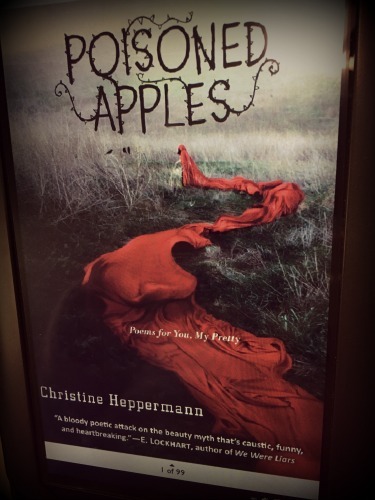 Anyway, I decided to try another book in my library in the hopes it would already be unlocked, and Poisoned Apples was the winner! and wait out by the beanstalk. dared him to make the climb. 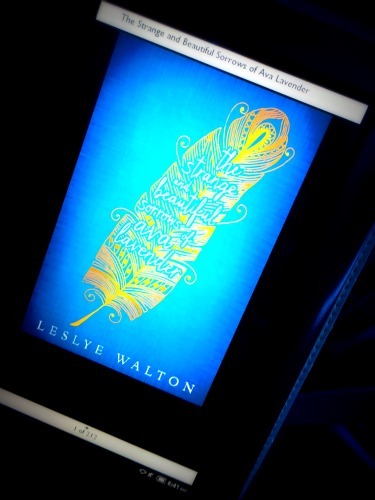 Last week I finished this wonderful book: The Strange and Beautiful Sorrows of Ava Lavender by Leslye Walton. I'm not sure what category this book falls under - Contemporary? Urban fantasy? Ghost story? Maybe all of the above. 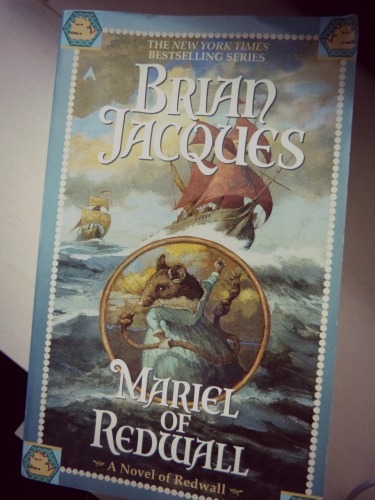 Regardless, it's a beautifully written, magical read! This rain smelled eerily to her like nothing at all. Or if anything, it smelled the way she suspected an omen might smell: a lunar eclipse, the evil eye, the number 13. It smelled, also, like fear. So, what are you reading this week? Have you chosen something seasonal? I have, a few times in the past, picked Christmas-themed books this time of year, though this year I have not really found anything yet. If you have any good Christmassy reading suggestions, let me know in the comments! Cheers! "Find the trail and lose your life. 'My nose shall not send me to sleep.'" What are you reading right now? Adventure? Romance? Sci-fi? Mystery? Let me know in the comments! Have a terrific Tuesday! Cheers!